Scouting for a School Series (SSS): Location, location, location – What is a Progressive School? Posted on January 15, 2009 January 15, 2009 by teachertinazamora	This entry was posted in Scouting for a School Series (SSS). Bookmark the permalink. I agree with you that location is an important aspect to consider in scouting for a school and I am just happy to find a progressive school in Merville area (Paranaque). They have started Grades 1-3 last schoolyear year and will add Grades 4-7 this schoolyear 2009-2010. By the way, the name of the school is Learning Paths. Thanks for the info, Mommy Melissa! Learning Paths is the school I refer for parents in your area. You’ll also see Teacher Tin Canon’s comment our post about Traditional and Progressive Education. Send my regards to her and all the parents and students of Learning Paths. I hope to see your school soon! My little girl is already 5 and she has quit school since she was 3 years old because of very fast turnover of babysitters and my constant travel. Where can I find a progressive school near my area? I am in Los Banos, Laguna. I have been thinking of home study, so that she can join me on short trips. She can mingle with other kids in ballet class perhaps. What do you think? I am getting desperate. Hi Mommy Lorna! I’m not familiar with progressive schools in your area but I will post it here once I find one. I’m all for homeschooling. As a matter of fact, I homeschool 2 of my 3 daughters. My eldest is going to Ateneo for college next school year 🙂 Since you travel, imagine the social studies you can teach your child!! The teaching moments during travel are precious. However, homeschooling is also a commitment. It’s best to talk to the coordinators of homeschool programs like School of Tomorrow and The Master’s Academy. Thanks for visiting our site! Thanks very much for the reply. I have heard of School of Tomorrow, but I am also glad to hear about The Master’s Academy, which I have not heard of before. I actually called them up already, but unfortunately staff were out to lunch. Thanks very much for the leads. Which homeschool did your kids attend (if it is ok to ask)? bulacan? Hope to hear from you. More power and God bless! Hi JC! I don’t know of any progressive schools in bulacan but I’ll post it once I hear of one. My daughter will be 2 yrs old this June. We were wondering if its really necessary to enroll my daughter to play nursery class at her age. Can you recommend a progressive school near Taguig, Bonifacio Global City area. Hi Christy! Your 2 year old doesn’t HAVE TO go to school. However, if you feel that there’s a need for her to socialize with other children or learn to be more independent, then a Toddler class may be a good idea. A class that meets three times a week will suffice. What’s a single mom to do when she can’t afford all these beautiful progressive schools. I myslef came from an exclusive schhol in Manila but oh well, life life. I’m a single mom of two kids ages 6 and 5 and I dream about putting them in the very good schools you mention but I just can’t afford it. I’m working in a call center and raising my kids on my own. But of course I can’t afford to put them in expensive schools and I dont want to put them naman in public schools. I could afford to put them in a school that I can pay monthly 1,500 for each of them. So I opted to put them in a private school but not very expensive, not very well known either but its quite established. I try to augment their learning by teaching them myself – I buy good educ books when I have spare money. And letting them use the computer and see sites like discovery channel for kids, etc. I try to save as much money as I can so that for the summer I can let them take summer class like in karate, piano, swimming. That’s going to be my commitment… to save up as much as I can to afford enrichment classes for them in spare time or summer. I hope I’m doing the right thing but I just really really can’t afford the expensive progressive schools. Hi Vicky! Our advocacy is to spread the progressive philosophy so more schools can imbibe it and therefore, lower the cost. Our school is a non-stock, non-profit organization so we can apply for grants and corporate sponsorships because we believe that what we are doing is a service to many families. I congratulate you because though you cannot put them in a progressive school now, you’re obviously a progressive mom. Keep it up! You’ll be in my prayers. Hi Teacher Tina! Would you know of any progressive schools in Marikina area that we can checkout? My daughter will be graduating this SY from Kinder in preschool and we want to continue sending her to a progressive school. We’ve heard abt COL and Learning Tree but since we might be moving back in with our in-laws to cut on costs . our daughter has progressive neurodev’tal d/o-nos which is a form of mild autism and her teachers told us that she will really benefit from going to school with low-student teacher ratio. I am a firm believer of the progressive method esp bec we’ve seen it work wonders for our girl. In conjuction with OT and speech, her current preschool (Milestone) has done so much in terms of getting her up to speed with academics and language devt, but we are still working on her social being. If there isnt any in Marikina, what schools would you recommend in San Juan-QC area? We are willing to relocate just so that our girl won’t have a hard time going to school. Of course, budget is always a consideration though we are willing to find ways to make ends meet so long as our daughter is getting what’s best for her well-being. Thank you so much! Hi Tine! Thanks for visiting the site. Your choice of COLF or The Learning Tree is great! I still believe that if you can go to these schools, your daughter will have a good experience. One important thing in looking for a school is their ability to take care of the Learning Difficulty of your daughter. Their SPED program should be able to first assess her and establish an Individualized Developmental Program for her (very much like a developmental checklist). Other schools that you can check out are Nest, Raya, and Explorations. Thanks for the response! I’ve also been researching other sites and I came across Ingenium Learning Resources in Marikina. Any feedback about this school and is their method also progressive? Hi Tine! I haven’t encountered any info on that school but I’ll post it if ever I do. In the meantime, you can use the posts in this blog to guide you when you talk to the school and inquire about their philosophy. Hi. I live in Mindanao Ave near Quirino Highway area and Ive been researching about progressive schools. So far, I visited one school which is Kinderhaus. I intend to visit Nest too but I think these schools are still considered far from my place. Can you suggest other progressive schools near my place? One school that is very close to our condo is God’s Lil Creations. I visited the place and they only have 15 students, one classroom is for academics, kids seat in front of each other, one classroom is meant for play… is this a progressive school? They said they follow the individualized program. Hi Mommy Weng! You may visit Creative Explorers at 47 Visayas Avenue, Project 6, QC or call them at 9240904. You can look for Teacher Giselle. Regarding God’ Lil Creations, I’m not familiar with the school but you can use the info in this blog to find out their philosophy, curriculum, etc. Hope this helps! We have a seminar on the 27th that you may want to join. my older son goes to COLF and i’m very happy with the progress he’s made (he’s very very shy and they were able to bring him out of his shell) but now i have a 3-year old who’s starting school next year and my problem has always been that COLF is so far from where we live. already his kuya spends far too much time on the road, and now that there will be two of them i’d like to find something closer sana. do you know of any equivalent progressive schools near pasig or mandaluyong that has at least up to grade school level? Hi . do you know any progressive school near valenzuela? Please send me a list of progressive schools in pasig/taguig area. thank you so much and hoping for your immediate response. Same as Hannah, please send us a lists of progressive schools near Taguig area. Hi, my daughter (6 y.o) is in a traditional catholic school right now and I am planning to transfer her to Piagetian Guided Educational Center along Scout Reyes, Quezon City because some students are trying to bully her. Do have any feedback from this school, should I transfer her to this school. I chose this school because of their low teacher-student ratio and quite near our place. hi, my daughter is 3 can you suggest for a progressive school near our place in batasan quezon city but not so expensive. Hi Teacher Tina, I’m scouting for a progressive school for my incoming Grade 2 son. I’m familiar with MI but I found Meridian Int’l Learning Experience which is nearer to our place. I would like to seek your opinion between the two please. Thank you very much in advance! Hi! We are looking for a progressive within our area. But couldn’t find one that would fit our meager income. Could you possible suggest a progressive school within Lagro or Fairview Area? There seems to be a lot of progressive schools sprouting like mushrooms and most of them really cost a fortune. Hope you could help us out. Thanks in advance! Hi, i need help in looking for a Progressive school for my 6 year old daughter. We have been living abroad for quite some time now. She’s been to school in Africa for 2 years (right now we’re in Sacramento, CA since December) but now we plan to go home to the Philippines this coming May, on the 25th to be exact, and for good. I would really want her to go to school this year, but we can’t make the admission test dates which are usually on April and May. Do you know any progressive schools that accept late transferees or even give late admission exams in Quezon City? Thanks. does anyone know of a good progressive school in manila? binondo or espana area? anywhere nearby, i lived in abad santos, manila. thanks. hi teacher tina, and hi to everybody, can you please help me find a progressive school here in novaliches area or near north fairview or north caloocan but i prefer novaliches area. having a hard time scouting for school for my 3 year old son. thank you so much.. Same here sis! If you happen to get a feedback from anyone here or u where a able to scout a good one, i hope you could share it to me. Thanks and god bless! i came across a blog which mentioned there is a progressive school in fairview. The Growing Place. It’s a progressive preschool at 12 Fiat St.West Fairview Park, Quezon City. Im looking for a progressive school at fairview/lagro area. Hope you could recommend a good but economical school since most progressive schools are pricey. Will you also recommend other good schools in the area mentioned as alternative option to progressive school? I will greatly appreciate if you could send me a list of good schools in the area. By the way, what is the appropriate age to start schooling? And what are the things a kid MUST know before starting schooling? hi mam, after reading various blogs about progressive schools., i am inclined to believe that this is for my son. our recent experience with a traditional school left him bored with classroom activities, although he is hungry to learn. any suggestions for such a school within the cainta, taytay or antipolo area? thanks. hi. may i know how much tuition plus miscellaneous fees for a 4 year old at nest? do you know any progressive school around novaliches-north caloocan areas? thanks and more power. Hello Mommy Tina, any recommended progressive school for my 2.5yrs old daughter near our area, Better Living Paranaque? thank you. Hi teacher tina, seems like you no longer answer responses to you topic here anymore. But, I’m still hoping to hear from you. I’ve watched you from some of your guesting, that’s when I found out about progressive schools and research more about it since then. I hope you can help me find a good progressive school near us. We are residing in Cainta, Rizal. I would have like to send my 2.4yrs old boy to Nest but it’s too far. I hope you can post a list of progressive school that you recommend. I really really hope to hear from you. Thanks!! All the best! hi teacher tina! i just came across this blog of yours. my son is 6 years old and i homeschool him thru sot program. he’s really enjoying it that he told me once that he wanted to be homeschooled til he’s in college!.. 🙂 i have a friend who also uses the same program but she was very surprised at my son’s phasing. a friend told me that if i don’t want to homeschool my son anymore, i should enroll him to a progressive school. do you know a progressive school here in laguna or cavite area or would you recommend me to keep him to the sot program instead? thank you so much for your “revolutionary ideas” hehe…this is what Philippines need! Hi mommy An! Yes, I still visit but when there are requests for recommendations of progressive schools in a particular area, I usually tell the mothers to use the questions we prepared in this blog to ask the school’s directress if they really are progressive. Thanks for visiting! Hi, Teacher Tina. 🙂 Any recommendations around Mandaluyong/San JUan area? Mommy Mary, you can try Explorations of Teacher Didi Manahan. Thanks for the prompt reply, Teacher Tina. 🙂 I actually visited them yesterday and I was impressed! Unfortunately, they do not have school service at this time. I am also looking at Taguig/Makati area since my husband and I work in those areas. hello teacher, im looking for a progressive elementary school in fairview, my daughter will be grade 3 come school year. Hi Teacher Tina, can you recommend a preschool (progressive or montessori) in Pasay/ Roxas Blvd area? i would like to know if you could recommend a progressive school with experience with HI kids. Hi Maw what area are you from? my daughter is also hearing impaired, She was diagnosed at age 2. We had her implanted at age 4. She is now 6 yrs old. We enrolled her in a progressive preschool in Pasig, Parkwood Playschool way back 2008, 3 months after the diagnosis., It was then their first time to handle a HI kid, but were so happy with the result. Our daughter is now in Prep program (the same school). The school administrator is very accommodating and all the teachers are competent and very understanding with our daughter’s shortcomings. Try searching their website on google, they are on facebook too. hello! im looking for a progressive school for my son @ fairview quezon city… hope you can suggest some. thanks. you can visit Another Home to Grow or Precious Gems both at adrian st., north fairview or at The Growing Place at west fairview. Hi can you suggest progressive schools in cainta area? Tnx!! ASD kid in PROGRESSIVE setup – Hi, Teacher Tina. My son was diagnosed to be within the autism spectrum but very high-functioning. He’s been in a traditional chinese school for more than 3 years now and doing really good academically. We have social issues, however, which tend to get in the way of his learning in this setup. Entire support team suggests to transfer him to a progressive school, with a ratio of 1:10. Been to Esteban and Keys, and both are really good. Tuition for both are quite steep, Keys more manageable I guess. Problem with the latter is the slot. No assurance so we need other options. Can you suggest other progressive schools in the Makati and Taguig areas? San Juan and Mandaluyong are also welcome. Would very much appreciate your reply. Hi. We were considering NEST for our son. He is entering Grade1 next school year. But we live in the Mindanao Avenue/Quirino Avenue area. Do you know of any progressive elementary schools in our area? Are you familiar with Cornerstone Academy near Commonwealth Av.? We are relocating and am scouting for good schools to tranfer our kids to. My daughter is an incoming Gr. 5 student and my son is an incoming Gr. 3. I’ve lived all my life in QC/Caloocan and Paranaque is really new to me. Please suggest good schools so we could also look into getting a place within the school’s vicinity. Thanks in advance. Pls advice what is the best school in Bacoor cavite. 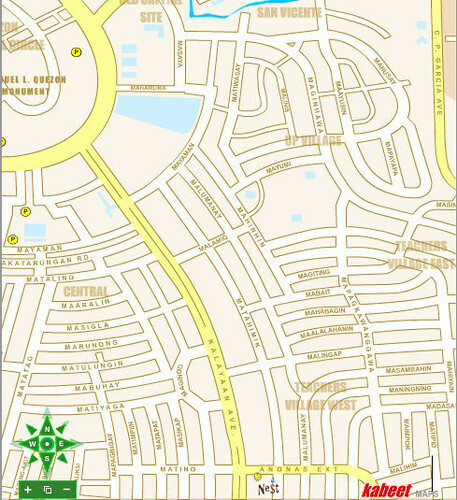 We are located in San Nicolas, Bacoor cavite. Thanks and God bless. Thank you for this blog Site..I am currently scouting for a good school for my Son. Please suggest a Good school near Pembo makati. Medyo malapit saamin Taguig, Pasig and Pateros. My son was diagnosed Delayed in Social insight, delayed in emotional and impulse control kya his developmental pedia suggest na small number of students lang, I am looking for a school na supportive in my son’s situation. Hi teacher tina! My son is 4years old and im looking for a progressive school in taguig area.i enrolled him in a traditional school at 3 last summer to try but after that,he doesn’t want to go to school anymore:( and now he keeps telling me that hew ants to go to school na.thanks! Hi Teacher Tina, can you recommend any progressive school near Tandang Sora / Katipunan Area with Mandarin as one of the subject? Also is there progressive school with high school? hi?can you give me a list of really good schools in makati or bgc? my daughter is 2.8 by june of next yr. thank you!